A fusion of relaxing and restorative shapes, hands-on massage therapy, and mindfulness. A perfect way to stay in tune with your self-care regimen in between your massage therapy sessions. Yomassage is also a completely luxurious experience that includes a warm room with dim lighting, lots of props for ample support and comfort, and can often include essential oils, eye pillows, and more. Space is limited. Sign up early to grab your spot. Contact me directly. Life can be stressful which often leads to tension build-up in the body especially in certain areas. Join me for this 2-hour workshop where I will teach self-care techniques along with a soothing yin practice to further release tension. As a licensed massage therapist and certified in The Roll Model Method, I will guide the workshop using a rolling method with therapy balls for self-massage (deep-tissue) targeting specific areas of tension. 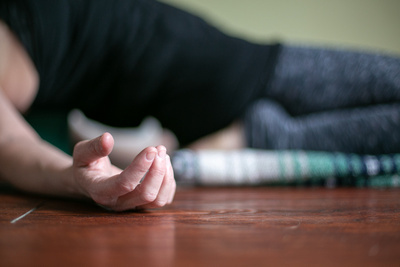 Then with yoga props and yin and restorative poses to induce relaxation, you will leave the workshop feeling like you just walked out of a two-hour massage. I am so happy to be subbing the noon Yin Yoga class at The Yoga Garden. Come take a break midday and reconnect the mind and body. As a massage therapist and yoga instructor, the most common complaint I hear is tension in the shoulders and headaches. Whether it is due to stress, overuse, underuse or injury, the wear and tear on the muscles attached to the shoulders is causing lots of pain and suffering. 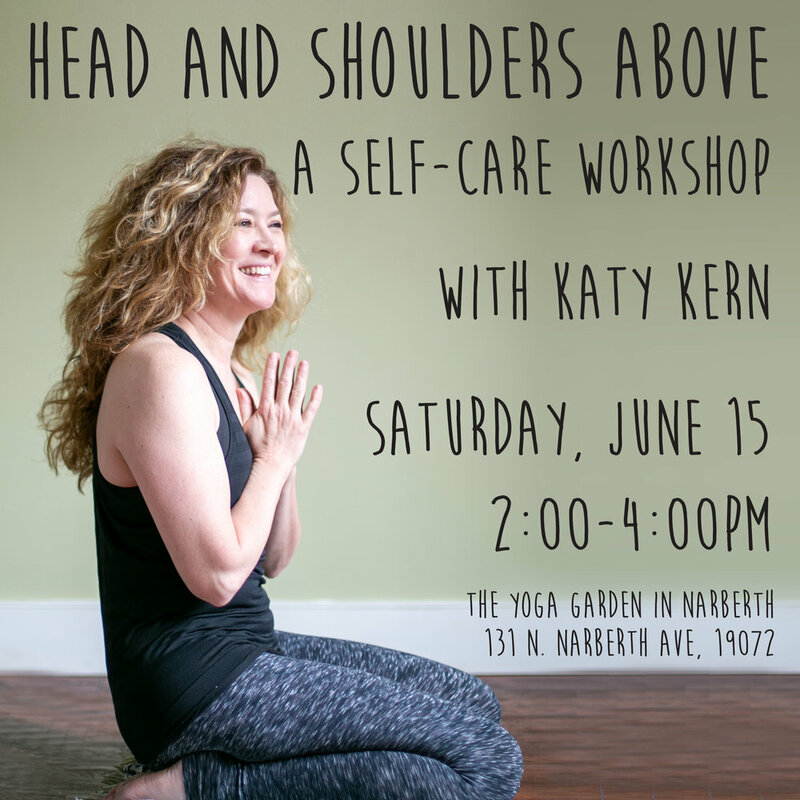 This workshop you will learn about certain upper body muscles and how to take care of them to avoid injuries, headaches and overall tension. Working with passive shapes and targeting key areas of tension, you will finish the day standing head and shoulders above your former self. I am so happy to be subbing the night Yin Yoga class at The Yoga Garden. Come take a break and finish off your day and reconnect the mind and body. I am so happy to be subbing the noon Yin Yoga class at The Yoga Garden. Come take a break midday to reconnect the mind and body. Space is limited. Sign up early to grab your spot. Contact me directly. Update: 2 spots left. Space is limited. Sign up early to grab your spot. Contact me directly. Update SOLD OUT. Check other dates 4/14 & 4/24. 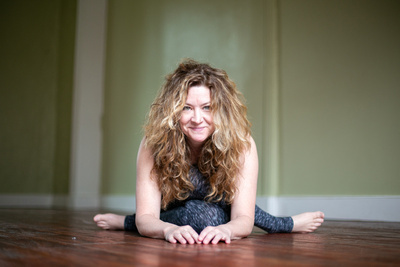 Join me as we slow down and end the week with a gentle yin/restorative yoga class. Join me as we explore ways to learn how to relax, rejuvenate and restore the mind and body using self-massage techniques and with some yin and restorative poses using lots and lots of props. For full details and to sign up, please go to The Yoga Garden Narberth. (scroll down until you see RELAX REJUVENATE RESTORE workshop. There is limited space, so make sure you sign up early. Come join me as we explore the passive style of yoga to help your mind and body relax. I've dedicated my life to facilitating the natural healing powers people possess to find their path to relaxation and peace. Whether it is a massage, yin yoga or Thai massage, students and clients begin to search within for their source of reducing stress. The power lies within. It’s about self-care, self-discovery and self-compassion and the willingness to accept who we are.